Anthony’s feature keynote Brain Blinkers – now available as a book – has toured around Australia and the globe, to over 25,000 people in 5 continents. performing teams as well as looking after marketing teams with brands worth over $150 million. In 2005 Anthony left the corporate life to follow his dream of creating his own company to inspire and motivate others. He is at ease speaking to any audience, from truck drivers to CEOs. Anthony is a certified NLP (Neuro Linguistic Programming) Master Practitioner and has been “on stage” & performing since the age of 10. Anthony’s use of real life examples with which all audience levels can identify makes his sessions unpretentious yet incredibly powerful & memorable. 5:00 PM Motivational Keynote: What Really Drives Us? Let's get one thing straight. Irrespective of what "generation" we belong to, there are some immutable laws of motivational theory that apply to us all. In this highly educational & entertaining session, Anthony will encourage us all to stop overgeneralizing by age or generation and start focusing on the individual in order to maximise performance and output. 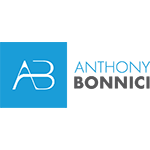 Using two different motivational theories, Anthony will arm you with a toolkit of approaches to help you understand what makes YOU tick and also how to motivate others to perform at THEIR best. So if you manage a team of people, or indeed are part of a team that needs that boost in productivity, motivation or output, this session is a MUST ATTEND!